An Indian diplomat who was subjected to arrest and strip search by the U.S. authorities had charges against her dismissed by a federal judge on Wednesday. Khobragade was arrested on the charges that she lied on a visa application about how much she paid her housekeeper, an Indian national. Prosecutors said the maid received less than $3 per hour for her work. 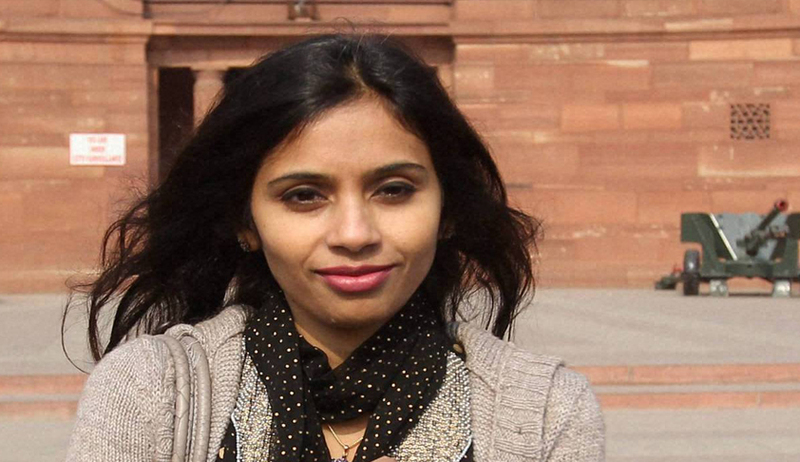 A U.S. Court hearing the matter said Devyani Khobragade had diplomatic immunity when she was indicted on charges of fraudulently obtaining a work visa for her housekeeper and lying about the maid's pay. But the ruling leaves open the possibility that prosecutors could bring a new indictment against her. The US attorney's office in Manhattan didn't immediately comment on its plans. Khobragade's attorney, Daniel Arshack, praised the ruling. "The judge did what the law required, and that is: that a criminal proceeding against an individual with immunity must be dismissed," Arshack said. After being indicted, she complied with a department of state order to leave the US. The Indian government then asked Washington to withdraw a diplomat from the US embassy in New Delhi, to which the US complied. A federal prosecutor ventured into the tense relationship between the US and India in December, defending the arrest and strip search of Khobragade when she was held on visa charges and saying she was treated very well, even given coffee and offered food while detained. US attorney Preet Bharara had said that the Indian diplomat was afforedd courtesies most Americans wouldn't get — such as being allowed to make phone calls for two hours to arrange child care and sort out personal matters — after she was discretely arrested by US department of state agents outside her children's Manhattan school. Bharara said Khobragade, who had pleaded not guilty, wasn't handcuffed, restrained or arrested in front of her children. And he said that while she was "fully searched" in private by a female deputy marshal, the move was a standard safety practice all defendants undergo. Prosecutors however have suggested they might re-file the charges stemming from claims she exploited her housekeeper.